Planning a camping / glamping wedding ceremony? Then check out our top 20 list featuring the latest camping wedding announcement designs. 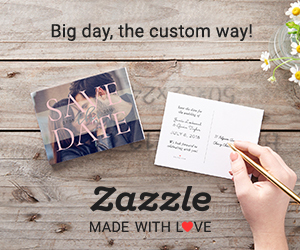 Every card can be easily personalized, free of charge! These beautiful lace wedding invitations are great for a more casual, vintage or country inspired wedding. Easy to personalize text and a big choice of a card stock to pick from. Every invitation is delivered with a white envelope.